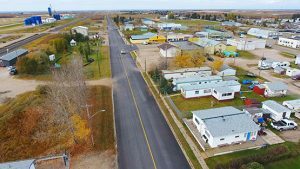 There are many variables to consider when undertaking roadway design. Engineering design of roadways primarily involves the design life calculation, taking into account projected traffic load and desired length of service, but there is much more. Road engineering also encompasses the disciplines of geometric design, traffic design and structural pavement design. All of these design aspects are used to arrive at the optimum solution for a specific road or highway. Stratum Logics strives to firstly approach design from a sustainability aspect. When all of the engineering elements have been considered and it is determined that geosynthetics present the best solution, Stratum’s roadway design specialists are particularly knowledgeable in the application of NPA geocells for road construction. With a multitude of engineering, environmental and economic advantages, geosynthetic soil stabilization solutions offer a win-win scenario for engineers, planners and contractors in any kind of road construction project. Paved roadways fall into two categories, those surfaced with flexible pavement and those utilizing rigid pavement components. Flexible pavement roads include asphalt surfaced and/or chip seal surfaced roads. Hot Mix Asphalt (HMA) is commonly used on major urban streets and highways, and delivers the smooth riding experience drivers have come to expect. Rigid pavements are typically those that include concrete components. Chip seal is an alternative surface treatment that combines one or more layer(s) of asphalt with one or more layer(s) of fine aggregate. Chip seal treatments are typically used on rural roads carrying lower traffic volumes, and are constructed by embedding finely graded aggregate into a thin base of hot bitumen or asphalt. It is estimated that nearly 80% of the world’s roads are unpaved. 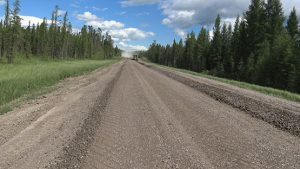 These may include gravel roads or other non-paved surface roads, many of which are built over weak or saturated soils which require significant soil stabilization and road base reinforcement. In these situations, geosynthetic components such as NPA geocells provide three-dimensional reinforcement to improve the modulus of the road base layer. NPA geocells have proven to be more durable and more cost-effective than any other ground stabilization solution for unpaved roadway construction. Geocell technology, when employed to increase the modulus of the base layers, results in durable, low-maintenance roads capable of supporting the heaviest loads in the most remote and difficult environments such as for oil & gas production, mining, logging, military operations and more. Geosynthetics also present an ideal soil stabilization solution for unpaved gravel roads of other functions, such as service, haul, access, and secondary feeder roads that must be built over soft soils. NPA geocells can stabilize soft subgrade, reinforce the road base and help prevent cracking or other degradation of the road surface. The use of innovative geosynthetic technology allows us to make vast improvements in road construction over conventional methods. The addition of NPA geocells in road construction results in more sustainable roads and reduces both road construction and maintenance costs. Stratum Logics engineering team is led by Dr. Sanat Pokharel, co-developer of the internationally acclaimed Han and Pokharel (2015) design method for unpaved road construction, modified for NPA Geocells from the Giroud and Han (2004) method for planar reinforcement. Under his leadership, our design team is uniquely qualified to deliver superior solutions in unpaved road design.